Set against Singapore's very own colourful backdrop of seventh month Getai, the film tells the story of two girls with a dream to be Getai singers.? Little Papaya and Big Papaya grow up idolising Chen Jin Lang, the King of Hokkien Getai. Through perseverance, hard work and support from their friend, Guan Yin, and their mentor, Aunt Ling, the Papaya Sisters become the most popular sister act in town. There’s always something magical about Royston Tan’s musicals. Right from his shorts Hock Hiap Leong which created so such entertaining cha cha cha buzz for a coffee shop facing it’s closure to the rebellious “CUT” which is undeniably a different class of talent from the recent MDA’s rap video clip. There this energetic humorous vibe to his films that would effortlessly sweep the viewers under his musical’s charm. 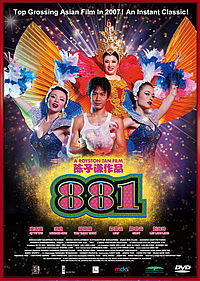 And now, there’s 881 which made $3.5 millions in Singapore Box office which had once again charmed me and probably gotten many uncles and aunties into a cinema for the first time. Royston Tan mention before that one of his goal in making 881 was to introduce the “Getai” (Song Stage) to the younger generation and by my books, he had achieved that goal. From someone who normally avoids the Hokkien (a Chinese dialect) music, drama or any other performances, it was an eye opening experience to the homegrown entertainment culture (probably a uniquely Singapore’s event which don’t get promote enough) that made me want to pop by for one of the “Getai” performance during the seventh month ghost festival. 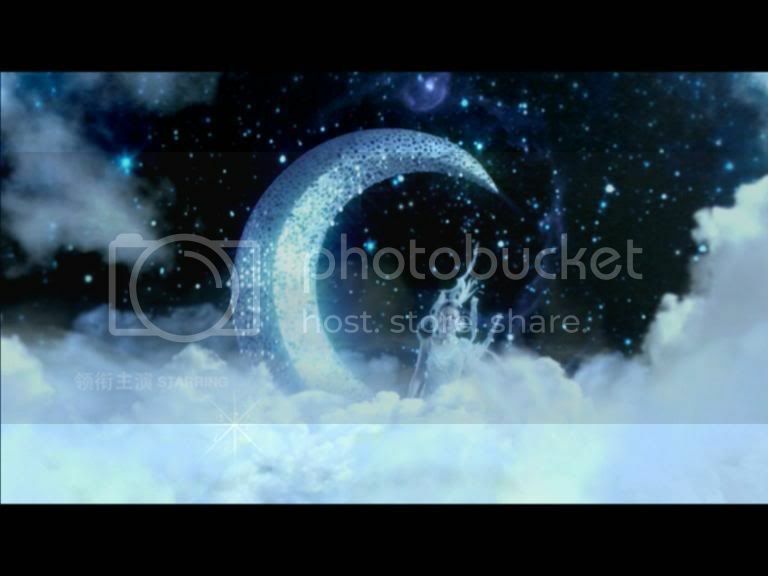 881 also helped a Non-Hokkien speaking person like me to understand the lyrics of Hokkien songs and appreciate the beauty in the sorrowful lyrics that represent the poor and the unfortunate, especially in the lower class demographic. However, intentional or not, the tragic element in 881 was overly dramatic and in certain ways, it felt that it was forcefully going for the audience’s tear ducts. Because of that, the story felt like a series of sad moments that were unevenly pasted together just for the eventual climatic finale. Although there are rough patchy patchworks of story telling and overly dramatic tragic events, there are many others things that were great for 881. First of all, the cast of Mindee Ong, Yeo Yann Yann, Qi Yu Wu and Liu Ling Ling were excellent in their respective roles. As one who don’t really follow the local Chinese television series, Qi Yu Wu’s stoic yet thoughtful performance as Kuan Ying and Mindee Ong’s fragile yet determine performance as the small papaya sister make one take a second look at the local stable of television actors. Actress Yeo Yann Yann is fast becoming a credible actress in Singapore movie scenes. Ever since her strong performance in Singapore Dreaming, it seems that she is popping out in various media around Singapore such as award winning short films (Ah Ma) and now she continues building a credible resume with her role as the big papaya sister in 881. And last but not least, Liu Ling Ling’s bigger than life persona is infectious both on her big screen performance and in private life (as seen in her extra segment in this dvd). Comedy seems to run in her blood and her bubbly personality is simply entertaining that makes watching 881 enjoyable. 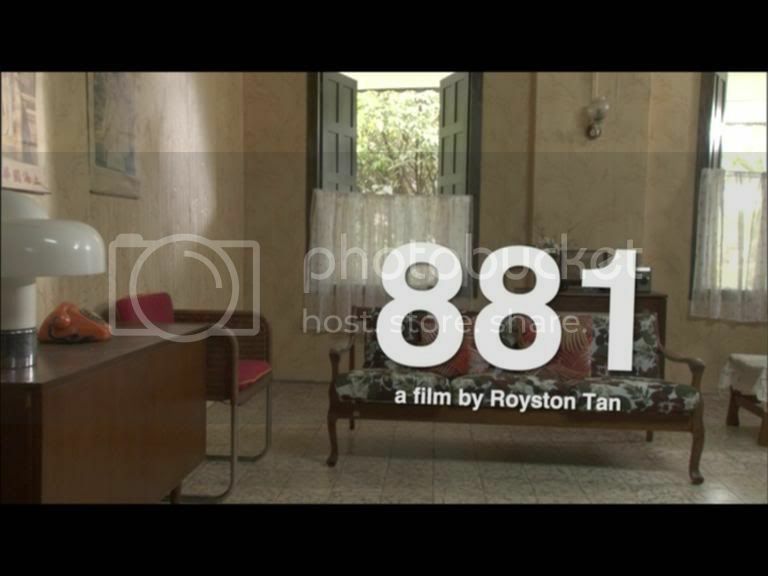 In 2007, it’s unlikely that any local movie would match up with 881 in terms of entertainment and with that, 881 is my vote for the best Singapore movie of 2007. First and foremost, English subtitles played a big part for me to enjoy 881 and it disappointing to report that the extra section of the 881 Dvd comes with no English subtitles to aide the Hokkien illiterate. A Day in the Life of Liu Ling Ling - In this short segment, the costar of 881, Liu Ling Ling takes the viewers on a trip to the actual Getai scene in Singapore while revealing some of the secrets of the Getai. She shared with us the uncertainties of being a MC in Getai, the joys of meeting up with new adoring fans of Getai due to the movie 881. It also had some candid chat with a Getai performer, audience and band member that gave more insights to the Getai’s backstage. Deleted scenes - If there’s any nitpicking with the deleted scenes segment, it would definitely be the lack of indication on what the scene was about and why was it deleted. Some of the deleted scenes are shown in muted mode as it probably hasn’t gone through the final editing stage. 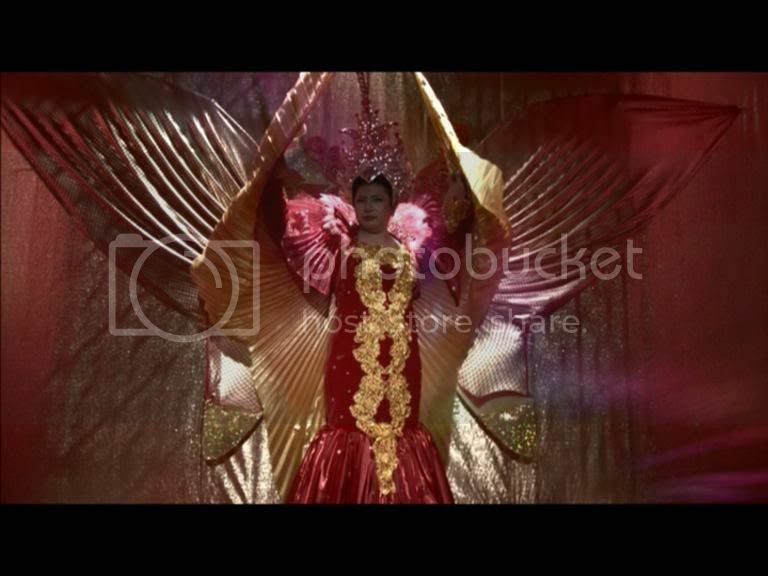 There also an alternate intro scene when the first few judges of the papaya sisters were introduced with the movie title. One of the Scenes that stood out was Scene 23. It gave a funny explanation on why there a need to draw a line around the ghost festival burn offering and the parallelism it has with the yellow box for smokers. Another scene that I felt shouldn’t have been left out was the Girls in Car scene. 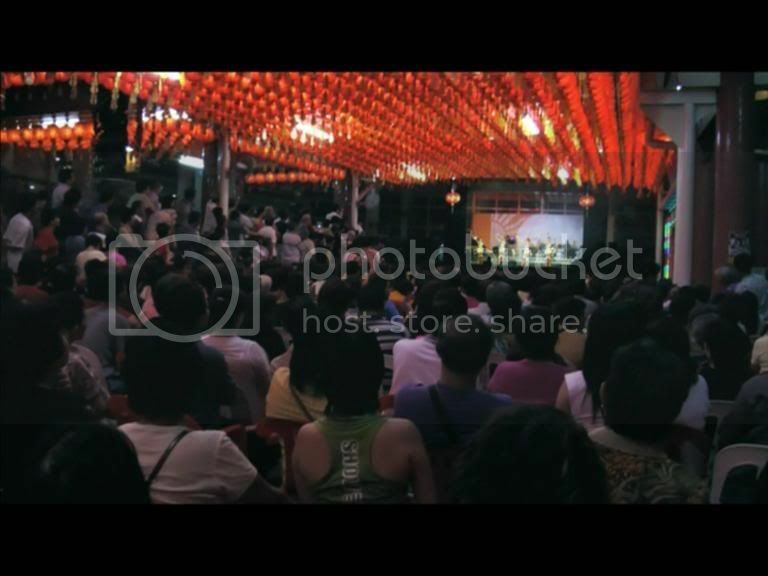 It features the Papaya sisters rushing from one stage to another and it really demonstrates the hectic lifestyle of the Getai. Here lies the biggest disappointment in the 881 extra features. On one hand, they provide songs performed in 881 in their own selectable segments. That allows the viewers to relieve the musical pieces without going thru the whole movie but sadly, there not English subtitles to help the Hokkien illiterate to understand what the song about. Guess it’s back square one as there’s really no way enjoy those music videos segments unless it’s watched in the movie with English subtitles. One other criticism that my friend pointed out was that once the song is picked, it will continue down the list of songs. Personally I don’t see that as a problem but my friend pointed out that he would have prefer to choose the song that he prefer and after the song is done, it would be preferable that it returns back to the songs titles page. The disc’s audio and visual transfer is wonderfully crisp and clear. There English, Cantonese and Mandarin 5.1 Dolby Digital audio tracks to choose from.